One of the important themes that emerged from hiCOlab’s foundational research with community stakeholders led us to this opportunity: How might we promote and build better relationships between patients, their caregivers, and providers? 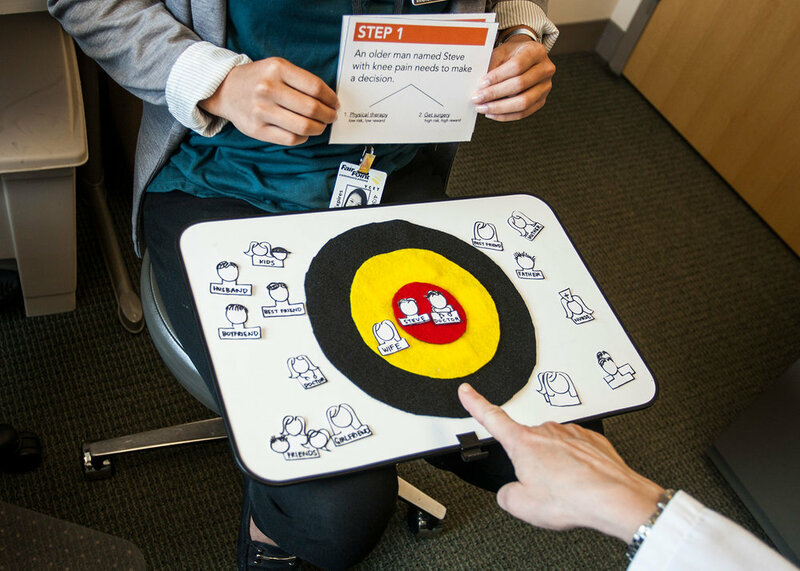 Early exploratory research and co-design activities gave us great insight into the conditions needed to establish trusting relationships between patients, caregivers and their care teams. 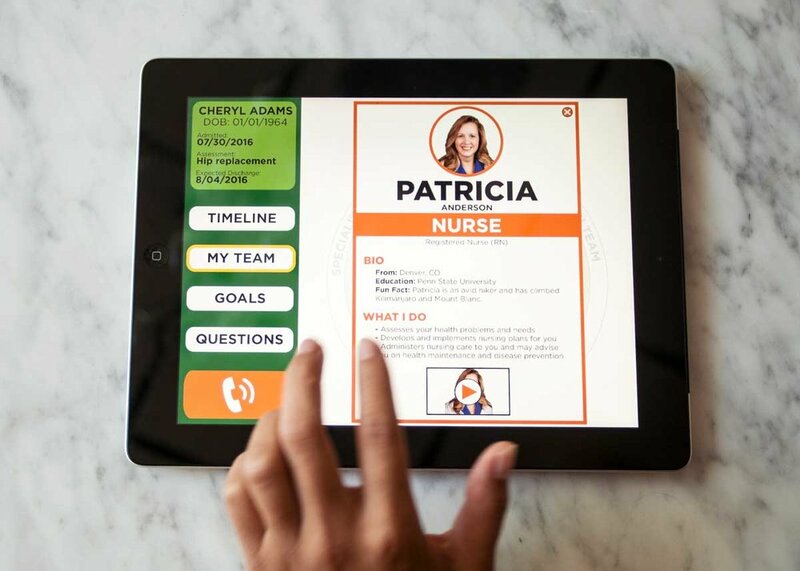 Based on what we learned, we developed a concept and prototype for an integrated digital system that helps patients in the hospital and their caregivers know more about their care team and track specific interactions with them. The system is designed to incorporate a bedside tablet for patients, a touch-screen in-room wall display, and RFID technology that tracks which care team members enter the patient’s room. The patient-facing interface in the system includes a timeline of the patient’s care in the hospital, a diagram of their care team, profiles of their providers, and a way to record their questions and goals. The care timeline and care team diagram are helpful in understanding their entire journey in the hospital and the many individuals who contribute to their care. Patients love the ability to click on their providers and learn more about who they are. The ability to record questions to ask providers later is one of the most important features for patients. Providers noted that the tablet should replace other things in already overcrowded patient rooms, and should not add additional work for anyone involved.